Listening well in the doctor-patient relationship starts with finding a point of contact or connection with a patient. That might be knowing their occupation or something else about them that reminds us that they are foremost a person, not a patient. Then it becomes easy, not tiring, to listen. When we’ve made a real connection, we too have the patient’s attention and they are more likely to hear what we are saying and follow treatment and advice that we suggest. An alchemy occurs when we listen – both speaker and listener are changed, transformed by the other. This is part of the healing of listening – feeling heard, acknowledged, our problem shared. What was two becomes one. Listening and observing go hand in hand – both involve focusing our attention and expanding our awareness. Both are a form of inquiry. 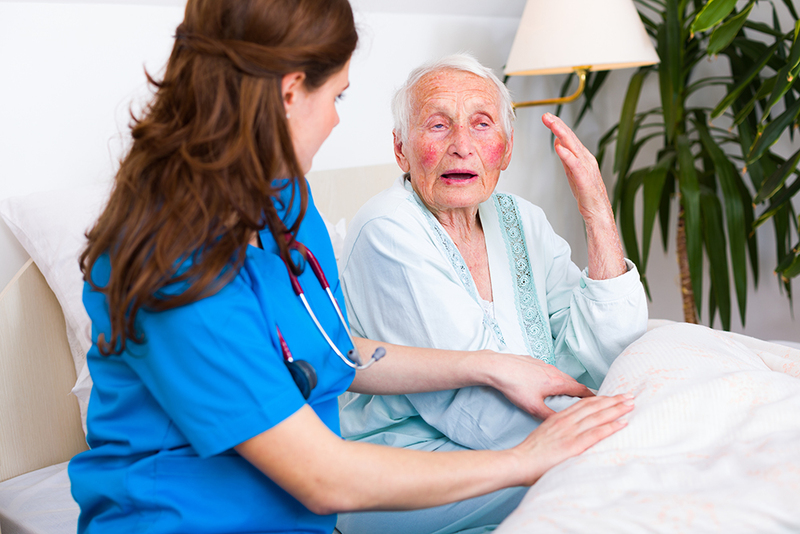 When we listen to a patient speak, it is not just their choice of words that we notice, but their tone of voice, the speed of their speech and the emotions behind their words. As doctors, we are acutely aware that often the most important things may be left out of the patient discourse – for example, fear of cancer, domestic abuse and loneliness, to name just a few. Listening is an active process; a practice. To listen we must suspend our judgement of the other. While we listen our attention is directed both outwards to our patient, but at the same time inwards, noticing what is going on within ourselves. Am I judging this person, am I understanding their meaning, how does this person make me feel, could there be something going on that I am missing? Time is often thought to get in the way of truly listening. Clinicians are always pressed for time and it is often assumed that taking the time to elicit the patient’s agenda will be even more time-intensive; time clinicians can’t bear to waste. Conversely, when patients think their doctor is under time pressure they are also much less likely to engage and seek information. Since the early 1980s, the uninterrupted time patients get to speak freely at the start of encounters has declined. In 1984 patients were interrupted after 18 seconds, while in 2018 they only got to speak for a median of 11 seconds before their doctor broke in. Yet using patient-centred communication skills, including active listening, can help doctors to collaborate on setting an agenda with the patient. This joint exercise of building bedside rapport and trust does not necessarily prolong the entire encounter, compared to interactions where no joint agenda was set. So how can clinicians learn about their own listening? Awareness of what ‘doing listening’ looks like is a good first step. Applied linguists have analysed audio and video recorded consultations and described a repertoire of patient-centred verbal and/or non-verbal active listening strategies. Mirroring everyday conversation, clinicians can use backchannels (feedback tokens such as ‘yup’, ‘yes’, ‘mm-hmm’ or nodding to signal they are listening and that the patient has their attention. Repeating part of the patient’s narrative to clarify, summarise or collaborate (for example, while dictating a letter in the presence of the patient) further cements the listening impact, rapport and trust. It is hardly surprising that clinicians using patient-centred communication, including active listening, have less malpractice claims against them. One step beyond awareness is reflection. Clinicians looking at their own listening via video recording can see how they listen and how they might be sabotaging themselves. Clinicians can display active listening yet still be perceived as not giving their full attention. Reflecting on their own video recording, clinicians might catch themselves looking at the computer not the patient, crossing their arms, hovering rather than sitting, unintentionally creating a physical barrier with furniture, or signalising listening with nods but then dismissing the patient narrative with a non-sequitur clinical question rather than a personal comment. Listening in the doctor-patient relationship involves creating a space where the patient is comfortable to give feedback. Patient feedback is really important to calibrate our diagnoses, but patients need to be made comfortable to give that feedback. In the Royal Victorian Eye and Ear Hospital emergency department, we start each day with the morning handover, which is a beautiful ritual of listening. The night doctors tell the day team about all the patients they have seen overnight. We hear the patient stories and we’re reminded each morning of the importance of listening to our patients, as we listen to our colleagues and give them feedback on their night diagnoses. Listening together as a group somehow weaves an invisible thread around us, binding us into a team for the day ahead. Once a week our CEO attends and listens to our patient stories, hears the work our doctors and nurses perform overnight and listens to concerns we might have as a team and a department. Listening is one of the cornerstones of medicine. Some clinicians have an ability to make us feel so completely heard that we remember conversations with them decades later. Perhaps not the details of the conversation, but the feeling of being completely heard– this is what we should strive for with our patients. The theme of the 2ndAustralasian Diagnostic Error in Medicine Conference is ‘Communicating for safer diagnosis’. It will be held in Melbourne, 28-30 April, 2019. Dr Mary Dahm is one of the keynote speakers and Dr Carmel Crock is conference convenor. Themes covered include cognitive biases, test result communication, over versus underdiagnosis, physician wellbeing and resilience and medical error. Visit www.improvediagnosis.org/ausdem2019/ for more information. This article appears in the April 2019 edition of Vicdoc magazine.